Diversity is not an abstract concept at UC Riverside. It is a source of strength and pride for our students, faculty, staff, alumni, administrators and community at large. Awareness of, and a focus on, inclusion is imbued in all we do and reflects a historical commitment to the value of inclusive excellence and difference that matters. The senior leadership of UCR is racially and ethnically diverse. Forty percent are women. Many are first-generation college graduates, several were born outside of the United States, and a wide range of faith traditions are represented. Among the group are individuals who are members of the LGBT community and U.S. veterans. Chancellor Kim A. Wilcox recreated the position of the Associate Vice Chancellor and Chief Diversity Officer to build upon our campus successes in undergraduate diversity and student success by extending this momentum into all sectors of the campus toward a holistic vision of what diversity and inclusivity can mean, educationally and sociopolitically, for the university and its members. 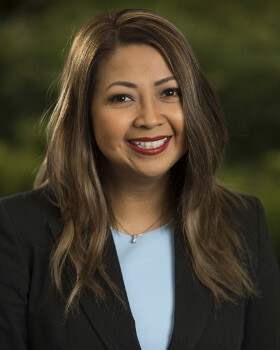 As UCR’s chief diversity officer, Mariam Lam reports directly to the Chancellor, serving as his primary discussant on all matters relating to inclusion, equity and campus climate. Her role is to serve as an innovative leader, promoting a university environment that values differences among its members, fostering communication across groups, and leading strategic initiatives. The chief diversity officer also partners with other senior administrators and assists all units of the campus, from student service programs and human resources to academic personnel, in their efforts to recruit and retain diverse faculty, staff, and student body. She plans, implements and oversees the development of programs and activities that support a culture of open inquiry, pluralism, mutual respect and engagement throughout the campus. UCR believes that diversity is not philanthropy; it is a means to inclusive academic excellence. Chancellor Kim A. Wilcox talks to the Chronicle of Higher Ed about how UCR has achieved parity in student success, what works and what does not for improving student success, and what's at risk if colleges do not bridge socioeconomic divides. SARA HEBEL: I'm joined today by Kim Wilcox. Thank you for being here. KIM A. WILCOX: Great to be here. SARA HEBEL: As the leader of the University of California at Riverside, you head up one of the most socioeconomically diverse public research universities in the United States. And it has a remarkable parity in graduation rates among different racial and income groups. What's working? KIM A. WILCOX: Oh great. UCR is a great story. Let me tell you. And I want to start, as you'd asked the question, backwards. It's a great public research university and all that that entails, with all those universities we think of in that set. But in addition, it has this amazing record of success with students, not just being most diverse, but, as you point out, students all graduate at the same rate at UCR, students on Pell Grants, students just above the Pell grant, our most affluent students, all the same rate, African American students, Hispanic students, mainstream students, all at the same rate. It's a marvelous culture of what America wants and thinks public universities should be, creating knowledge, but doing in a way that includes everybody from every walk of life and helps them succeed at the same level. Why? I've been there, as you know, a few months. And I've been really curious myself to learn. It seems to me there's a few things. One, the State of California has historically done a very good job of supporting students. And while we've all taken our hits, one of the places that California tried to stay true to its goals was through its state support programs for financial aid for students. And that helps. The University of California returns a third of all tuition dollars to financial aid. So what that means is our students, over half of whom are on Pell Grants, have a financial advantage that students in, unfortunately, too many other states don't have anymore. That's crucial. But if that were the only thing, then all the universities in California would look the same. And we're the only one without a graduation gap. So what's the value added? The university has evolved over the last 50 years, at 60 years old, in a way that was sensitive to these issues. It didn't grow up with a different set of aims, but it grew up with these as part of its aims to be, just as you suggested, a leading research university where student success was part of the mission. So our student programs are integral to everything we do. Our faculty see research and student instruction as the same thing. Over half our students graduate, report that they were involved in faculty-led research while at Riverside. So there's a set of integrated assumptions that make the fabric of the place really unique and special for America. SARA HEBEL: These gaps, as you know, are quite stubborn in many universities across the country, including at Michigan State where you were previously. How can those institutions learn from the kinds of things that Riverside has done, and what are the biggest obstacles facing the nation in these other institutions? KIM A. WILCOX: Great question. We're busy pursuing that, we along with 10 other universities across the country, including Michigan State. But Texas, Oregon State, Arizona State, several of us have formed together what we're calling the University Innovations Alliance. And that's a group of universities that have been focused on student success for a long time. And our goal is to create a discussion group and experimentation group that will lead to extracting principles that others around the country can use. We think we have some ideas. There certainly are basic notions of connections with faculty and connections with student peers, but there's also a sense of how you organize your support programs in a way that is sensitive to the student's needs but leads them to a brighter future. SARA HEBEL: What are some of the specific things that you think others could take away? KIM A. WILCOX: Well one of things that UCR is known for are learning communities. Learning communities exist around the country. At UCR they have a special sense of connection between faculty leaders and cohorts of students in majors and in disciplines. Courses together, but a lifestyle together that's an important piece. We have a portfolio of student support programs. Some racial, ethnic, gender-based but across the whole portfolio that have evolved in a way that are effective advocates for their students, but more importantly are part of a network that connects the programs and the students in the programs across the university. We just created a new Middle East student study center created by advocacy by students. And not students of one stripe or another, but all stripes, Muslim, Jewish, Israeli, Palestinian, Egyptian, agnostic, Coptic, students who all have heritage and connections with the Middle East but don't come to it with a uni-focal perspective but one that's much broader. So there's a sense of connectedness across the academic, the social, the cultural, that is real at UCR. SARA HEBEL: What kinds of interventions have you found don't work? KIM A. WILCOX: But some of the places we fail is we try to do things that are separate from. A way I described it is we tried for decades, in this country, to quote level the playing field. And what we've done is we've stuck a program under this corner or an institute under that corner. We try to keep leveling the playing field instead of saying maybe there's something wrong with the field. And so I think too often in higher education, we take these small pieces for this group of students we think are at risk or these students in this situation, and think that will fix the problem when all we're doing is trying to help them with a much bigger environment that exists. And that's, for me, both in faculty and student diversity challenges over the years has been a take home lesson. We have to think in a much more integrated and integral fashion across all the dimensions. SARA HEBEL: What's at stake here? KIM A. WILCOX: America, and I don't mean that lightly. If you go back to 1863 when Lincoln signed the Morrill Act, he and his colleagues believed that education of, by, and for the people would make the difference in America. It's 160 years later, they were right. But we're at risk. Increasingly all of our universities, including in our public universities, are becoming more and more detached from the communities in which they operate, their states, and their local communities, and more and more a place for middle class or upper middle class students to come and study, which is good, but it's not sufficient for our future. It misses the point of public education to a large degree. The extent to which Riverside can show the world that leading research universities can work at the highest level and include students from every stripe and have them be successful we believe is a model for America in the world for the future. SARA HEBEL: Chancellor Wilcox, thanks for coming in today. KIM A. WILCOX: My pleasure great to be here.